33 Days to Morning Glory led us to the Immaculate Heart of Mary in Stage One, Part I. In Part II, Consoling the Heart of Jesus, we will learn about God’s infinite mercy and how we can give him joy, consoling his heart, by accepting his love and trusting in him completely. We’ll discover how suffering can actually help us grow spiritually closer to the Sacred Heart of Jesus. This entry was posted in Sunday Video Series on March 16, 2017 by sjwebmaster. In all of God’s creation we see such splendor and beauty, mystery and wonder. Within this creation there are beings with intellect and free will: humans and angels. Powers and Dominions: Angels, Demons, and Spiritual Warfare explores the spiritual world, that very real but unseen realm: God, the human soul, angels, demons (fallen angels), spiritual warfare, the reality of demonic possession and exorcism, the dangers of the new age movement and the occult, and much more. Featuring well-known speakers and authors Steve Ray, Fr. Andrew Pinsent, Fr. Marcus Holden, Joanna Bogle, Fr. Jeremy Davies and Fr. Behruz Rafat, this film offers an insightful and sobering presentation about the reality of the powers and dominions of the spiritual world. Inspirational music, beautiful artwork and imagery are used throughout the film. This entry was posted in Sunday Video Series on March 3, 2017 by sjwebmaster. The “Wild Goose” was a term that the ancient Celts had for the Holy Spirit. Yes, there is a wildness to the Holy Spirit. The dominant images of the Holy Spirit are a meek dove or a flickering flame of a candle, both of which are in one way accurate. But the Holy Spirit is far more than that. Fr. Dave Pivonka, TOR, is a nationally known author and speaker dedicated to helping others come to know God’s love for them through preaching and writing. Fr. Dave has held several ministry positions at Franciscan University of Steubenville and is actively involved in the highly successful summer conferences program. He is the author of the new book Breath of God – Living a life led by the Holy Spirit. This entry was posted in Prayer & Worship Committee, Sunday Video Series on February 24, 2017 by sjwebmaster. This film reveals the journey of Fernando Martins de Bulhões, a 13th century Christian whom we know today as Saint Anthony. Here, we discover a young man who was often “lost” and searching for direction in his life. He wanted to make a difference in the world of his time. As we encounter his humanity, we find someone we can relate to, someone who struggled in life, someone we could have easily called a friend. This entry was posted in Sunday Video Series on February 2, 2017 by sjwebmaster. For decades Fulton Sheen was a shining example of what it means to serve God and men. His TV series reached thirty million viewers weekly, and his profound words were captured in over 100 books. Millions were influenced by the way he lived, what he taught, and the witness of his personal relationship with God. This powerful film introduces the beloved Archbishop to a new generation that greatly needs his inspiring example of love for God and neighbor. It reveals how the impact of Sheen’s prolific life and works continues the lives of those he forever changed. Guests interviewed for this film include Timothy Cardinal Dolan, Regis Philbin, biographers of Sheen, his surviving relatives, friends, and many others who were influenced by him. This entry was posted in Prayer & Worship Committee, Sunday Video Series on December 1, 2016 by sjwebmaster. This Sunday, May 22, we will show Divine Mercy 101 with Father Chris Alar, MIC. The video will be shown in the Parish Community Room immediately following the 10 am Mass. Divine Mercy is the urgent message of hope for our world. Learn the powerful devotion and graces associated with it in this dynamic DVD presentation with Fr. Chris Alar, MIC, filmed live at the National Shrine of the Divine Mercy in Stockbridge, Massachusetts. Those who are new to Divine Mercy as well as those looking to achieve an advanced level of knowledge will find this presentation ideal. 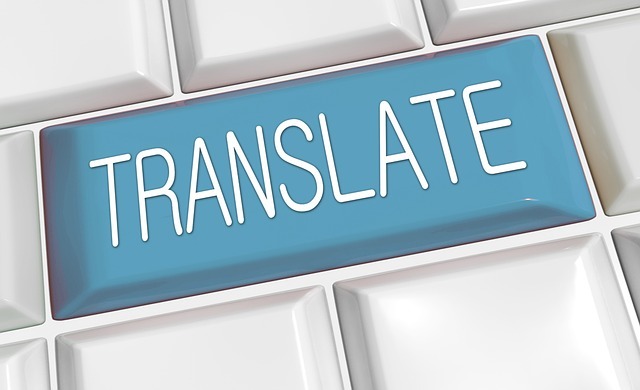 The instructional format makes it perfect for religious education classes, prayer groups, and individuals. This entry was posted in Sunday Video Series on May 16, 2016 by sjwebmaster. Bishop Robert Barron’s The Mystery of God: Who God Is and Why He Matters video series concludes this Sunday, April 24 in the Parish Community Room immediately following the 10am Mass. Who is God? And why does he matter? Watch this series and you’ll not only learn the answers yourself, but you’ll discover how to share them with others – especially those who no longer believe. The book of Genesis reveals that we are made in the image and likeness of God. What does this mean? For St. Augustine it affirmed that our own traits—our minds, our self-knowledge, our self-love–can tell us something about God as a Trinity. What is Christianity finally about? What is the deepest meaning of being and all reality? The Christian answer is this: God is love, a play of Father, Son, and Holy Spirit. This entry was posted in Sunday Video Series on April 20, 2016 by sjwebmaster. Bishop Robert Barron’s The Mystery of God: Who God Is and Why He Matters video series continues this Sunday, April 17 in the Parish Community Room immediately following the 10am Mass. The most important event in human history took place when God, infinite and incomprehensible, became a finite and familiar man, Jesus Christ. While some people reduce Jesus to a wise teacher, the testimony of scripture and the early Church makes it clear that Jesus of Nazareth was, and is, God incarnate. He’s the Second Person of the Trinity. And by his sacrificial death and glorious resurrection, we too can enter into Trinitarian life. This entry was posted in Sunday Video Series on April 13, 2016 by sjwebmaster. Bishop Robert Barron’s The Mystery of God: Who God Is and Why He Matters video series continues this Sunday, April 10 in the Parish Community Room immediately following the 10am Mass. Perhaps the most difficult question in theology is this: Why does God allow evil? If God is all-good and all-powerful, then why are our lives marked with pain and suffering? These are not abstract questions. They go right to the heart of our experience. We have each wrestled with misery, wondering when God would intervene. As with Job, God does not give us answers. He instead offers a person: the crucified Jesus, through whom God enters our suffering and makes it his own. This entry was posted in Sunday Video Series on April 6, 2016 by sjwebmaster. This Sunday, March 13, we will show the final part of the Joseph of Nazareth video in the Parish Community Room immediately following the 10am Mass. Please join us for this inspiring film on the life of our parish patron, Saint Joseph, as we approach his feast day on March 19. The first feature film ever on the story of St. Joseph – carpenter, husband of Mary and the foster father of Jesus Christ. Scripture tells us that St. Joseph was a “just man”, and that God gave him the most daunting task ever asked of a man – to be the husband of the woman who would give birth to the Messiah, and the father and protector of this Holy Family, the man closest to Christ. 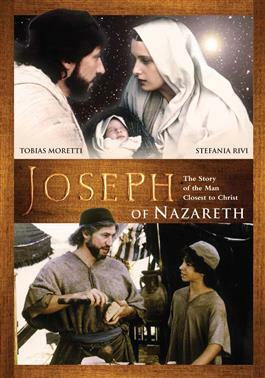 As Joseph is informed by God’s messengers about trusting and following God’s plan for the mysterious divine conception and humble birth of Christ, the dangerous flight into Egypt to save his child, and finally returning to Nazareth to raise Jesus, teach him carpentry and guide his family, this lovely film presents beautiful vignettes of these and other powerful scenes in the life of the young Christ and the Holy Family that are authentic and inspiring. Also stars Stefania Rivi as Mary, and Franco Interlenghi and Andrea Prodan. This entry was posted in Sunday Video Series on March 9, 2016 by sjwebmaster. This Sunday, March 6, we will show Part 1 of the Joseph of Nazareth video in the Parish Community Room immediately following the 10am Mass. Please join us for this inspiring film on the life of our parish patron, Saint Joseph, as we approach his feast day on March 19. Part 2 of the video will be shown on March 13. This entry was posted in Sunday Video Series on March 2, 2016 by sjwebmaster. Bishop Robert Barron’s The Mystery of God: Who God Is and Why He Matters video series continues this Sunday, February 28 in the Parish Community Room immediately following the 10am Mass. Once we understand who God is, we naturally wonder, “What is he like? How does he act?” We can never fully answer those questions. Yet we can know that God is self-sufficient—he doesn’t need the world but creates it out of love. God is omniscient, knowing all things. God is omnipresent, everywhere in existence. Through these attributes we discover a God who presses upon the world, always and everywhere, not aggressively but only with love. This entry was posted in Sunday Video Series on February 24, 2016 by sjwebmaster. Bishop Robert Barron’s The Mystery of God: Who God Is and Why He Matters video series continues this Sunday, February 21 in the Parish Community Room immediately following the 10am Mass. In the thirteenth century, St. Thomas Aquinas composed his famous five paths to God. His proofs don’t depend on the Bible or divine revelation. They simply start from the world around us—trees, birds, buildings, and even ourselves. Thomas noticed that none of these things have to exist. But if that’s the case, there must be some cause behind them, something grounding their existence. For Thomas and all Christians since, we know this source of all being by its ancient name—God. This entry was posted in Sunday Video Series on February 17, 2016 by sjwebmaster.